Surgery alone cures more than 60% of those patients whose cancer are amenable to curative treatment. Surgical oncology is not universally accepted as a unified discipline worldwide. There are many reasons for this situation, including the drive to anatomic site specialization, but also the need to provide comprehensive 'general' surgical provision to more isolated and rural communities. 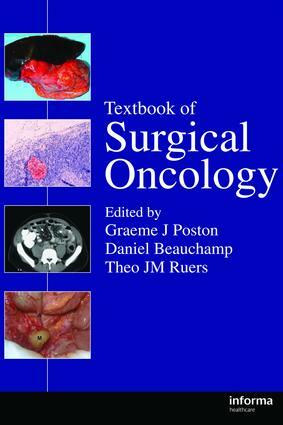 Textbook of Surgical Oncology, written by a highly acclaimed list of international authors, comprehensively covers the role of the surgical oncologist in the management of patients with solid tumors. This book provides a state of the art review of cancer surgery for senior residents approaching certification at the completion of their training as well as providing an up to date reference work for established clinicians in their day to day practice, including those in general surgery, surgical oncology, urologists, gynecologists, thoracic, neurosurgical, radiation oncologist and medical oncologists. Is there a surgical oncology?